When Victor Dinaire first set foot in the club scene, he was unaware that what he just discovered would become his life's passion. Although he "was always into music as a kid," his excitement for dance music began in the early 90's, when he began throwing parties at New York City clubbing meccas Limelight, the Tunnel, and the Palladium. "It was great working for three nightclubs because I got a taste of multiple different scenes." Driven by his desire to successfully break into the dance music industry, Victor increased his intensity by working Wednesdays through Saturdays at the clubs and spending the remainder of the week 'flyering' the city and organizing events. He submerged himself in the atmosphere, always watching and listening for what pleased the crowd most. "While the crowd was dancing and having a great time, I always observed the people's reactions to the way DJs worked them." Victor especially loved to watch legendary DJ Junior Vasquez during his late nights at the Tunnel, "it was from him that I learned to work a crowd by manipulating key records live and setting dramatic sequences." Victor took on the world of dance music full-force. His interest in electronic music landed him a gig at BMG/Logic Records in 1999, where he did promotion for artists such as Giorgio Moroder, Gloria Gaynor, Danny Howells and La Bouche. In addition to excelling as a promoter, multi-talented Victor was also asked to perform on the Logic label, ultimately kicking off his own career as an artist. Victor's landmark first CD compilation, Logic Trance Volume 4, delivered a truly noteworthy beginning as a performer, hitting the top 5 position for three consecutive weeks on the CMJ charts and subsequently selling out. Victor's following CD compilations, "En Trance" on Bonzai Music Italy / Megahit US and Timeless Trance classics: Midnight Sessions, followed shortly thereafter by Morning Sessions, were all also sold-out successes. 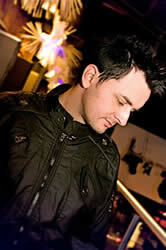 Victor credits Maiko Sakai for his success with the Timeless Trance series. "She was 100% behind the series and fought for the tracks I really thought are ‘Timeless.’ It was a great experience to work with her and learn how to put a compilation series together from scratch and promote it the best way we could." This New York City native steadily set a firm foundation for his reputation in some of the biggest clubs in New York, across the States and internationally. As a regular at New York City's famed Arc NYC nightclub, Victor gained a devoted following, with the crowd eagerly anticipating his regular closing sets as much as the headliners. From New York to South Korea, Victor has performed for events such as Spundae, Gatecrasher and Godskitchen, and with esteemed artists such as Paul Oakenfold, Ferry Corsten, Blank & Jones, Steve Porter, Junior Vasquez, John 00 Fleming, Sandra Collins, Nu NRG, Johan Gielen, Second Sun, Judge Jules and Matt Darey. Recognizing a demand for easy access to trance music, Victor teamed up with Sirius Satellite Radio to create his famous weekly radio show, Peak Hour. Seeing an opportunity to reach a larger audience, he partnered with Music Choice, showcasing live sets and mixes on his show Resident Nation. Feeling frustrated by a repetitive vibe coming from urban dance culture, ever the innovator, Victor formed Future Progression, "a lifestyle group dedicated to the electronic dance movement." His popular Future Progression loft parties in Brooklyn led to a show of the same moniker on XM Satellite Radio. In his most recent project, Victor partnered up with St. Michael and Kristina Sky in the creation of Lost Episode, a movement that uses all available forms of media on a mission to take electronic music to the level that more mainstream genres entertain. His radio show, re-launched as Lost Episode with Victor Dinaire, airs on XM Satellite Radio, Worldspace Satellite Radio, Music Choice TV, and internet radio websites AOL Radio, ETN.fm and Digitally Imported (Di.fm), and is syndicated on fifteen FM stations across the US, including Energy Arizona FM and San Diego. Victor's radio shows reach well over 60 million homes and cars nationwide, more than any other DJ in North America. Lost Episode also has monthly Club Nights at two of Southern California's hottest nightspots, Avalon in Hollywood and 4th and B in San Diego, featuring world renowned talent, such as the legendary Paul Oakenfold, Ferry Corsten and Blank & Jones. As far as Victor's taste in music, "I love emotional music-something that can be felt. I love to give people a feeling like they have been to a million places when they hear me."